No place in Europe is under greater threat than the Netherlands, a waterlogged country that mostly sits below sea level. As climate change brings the prospect of rising sea levels, defending the country from water is vital to save its people and its cities. 5 years ago, close to The Hague, the Dutch government started building the so-called Sandmotor by depositing a large amount of sand in one place, they then used the current of the sea to naturally distribute the sand along an almost 30km coastline to make sure that this part of the coastline would be safe for the next 25 years. Another major consequence of climate change is the heavy storms and floods that are expected to hit the country. For this reason, the Dutch government financed the construction of Hoogwatergeul Veessen an 8 km river bypass that serves as a river flood basin when the river IJssel overflows. When the water level is normal the basin is used as agricultural land. During a normal flood, the gate serves to stop the water. But in the case that the entire valley is completely filled with water, turning the eastern group of villages into an island, the structure then turns into bridges that keep the village connected with its surroundings. Kristian Koreman, co-founder of ZUS Architecture cabinet and designer of the Hoogwatergeul Veessen affirms that “we have to deal with the water, we have to accept the water, we have to live with the water and that’s what this project is really about: adapting, giving space, giving room to these natural changes which are just evident”. 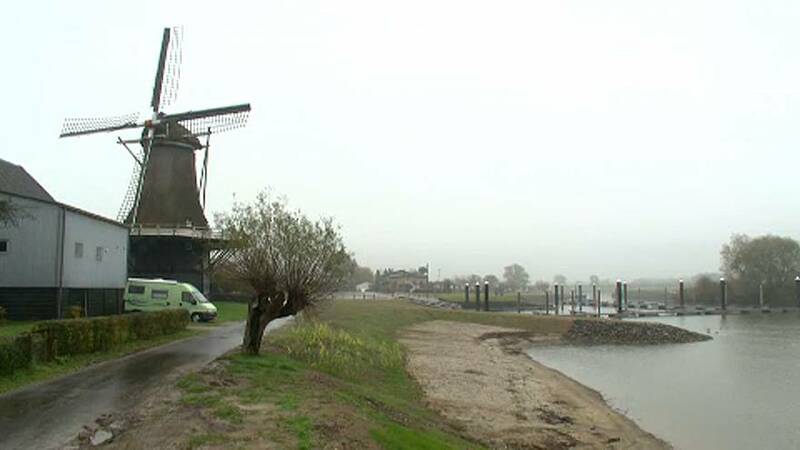 Nevertheless, the Netherlands embodies the European paradox of contrasting climate change. For decades this country has been one of the world’s largest producers of natural gas. Considered cleaner than coal, its use has been encouraged by the European Union’s strategy on reducing CO2 emissions. However, scientists from the Tyndall Centre for Climate Change Research confirm that, in the short term, natural gas has three times as much an impact on global warming than carbon dioxide. Friends of Earth then issued a warning: if by 2035 this source is not completely eliminated, the EU will completely miss the objective of the Paris agreement.